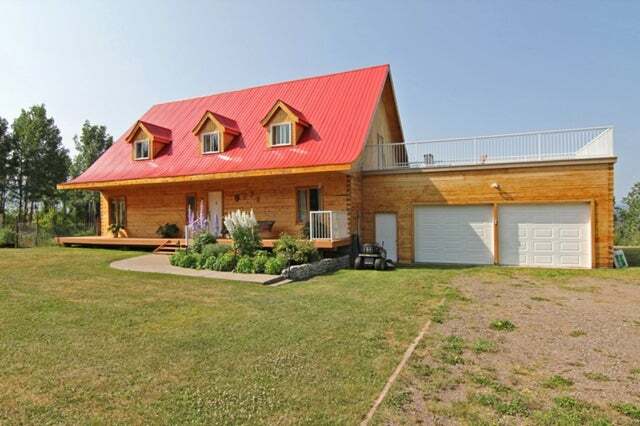 Custom square log home, 3 bed, 3 bath on 9.89 acres. Enjoy the open concept living spaces on the main floor level, including a designated laundry room and private den. The house has many large windows and doors to take full advantage of the 360 views and wrap around deck. All bedrooms are located upstairs, away from the primary living space. The large deck was built with future expansion in mind, with roughed in plumbing for a potential ensuite and sturdy floor joists already in place. 18'x24' detached workshop is a great addition for any handyman. This home has been very well cared for and is beautifully landscaped.